BRYAN EATON/Staff photo. 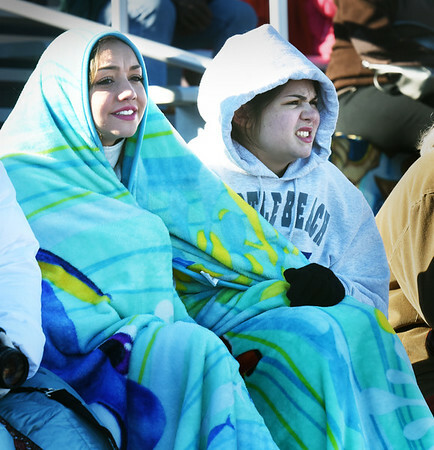 Sisters Hannah Doub, 16, left, and Ashley, 14, bundle up against the legendary cold weather at Triton High School's stadium to watch the Thanksgiving Day game with Pentucket. The two, from Fayetteville, North Carolina, were visiting their aunt Deanna Fecteau's family in Rowley for Thanksgiving.